Where should you be doing your South African Wine tours? South Africa is among the undisputed first division wine producing countries. Due to increased funding, diligence and a lot of hard work, there’s an increase in the number of great wineries in the country that not only produce excellent wine but at competitive rates. The country is a preferred destination for wine connoisseurs from around the globe. Cape Town is home to some of the oldest and prestigious wine farms in South Africa. The increased number of great wineries has led to the growth of many wineries in the country. There are a number of regions that have emerged as leaders for the country’s winemaking capabilities with the real pioneers being mostly found in Cape Town. Other areas like Paarl, Wellington and Hermanus Bay are also making quality wine. In this review, we shall look at the top wine farms in South Africa. One of the Country’s Best wine producers is Ken Forrester’s Winery homestead. It has a long history that dates back to the 17th Century. 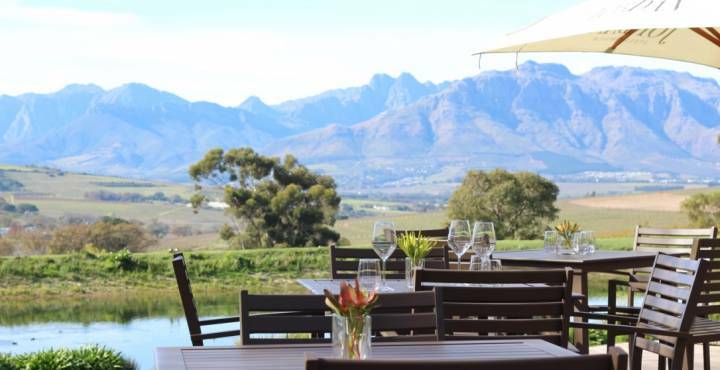 It is located on Helderberg Mountain slopes; this winery is in the most famous wine making region of South Africa, Stellenbosch. Ken Forester has collaborated with Martin Meinert to produce FMC Chenin, a world class blanc. It also produces two other blancs. The farm also offers a variety of reds including Shiraz and Merlot, and a Rhone style blend made by Shiraz and Grenache. Hamilton Russell is among the most southerly wines in Africa. The vineyard’s specialities are Chardonnay and Pinot Noir, both of which are recognized among the best in the country. These Burgundian specialists produce these two varieties to near perfection. They are a small producer of beautiful elegant wines in the expanse of Walker Bay. Using different wine maturation vessels like terracotta amphora and stoneware, the winery is constantly pushing for perfection. Gary Jordan, together with his wife Kathy, have strived to produce quality wines that are hard to beat. They have been producing top quality wines for over 16 years in Stellenbosch. Their yard has won critical and consumer acclaim a number of times globally. Their secret is simply using fine quality fruits, sourced from high altitude vineyards which benefit from the cooling breezes of Atlantic and Indian Ocean. Their top red is Cobblers Hill, with a Bordeaux blend with a cool climate mint and berry aromas. There can be no other introduction to white wines than the powerful, age-worthy and structured Reserve Chenin Blanc wines from the estates of De Morgenzon. The owners, Hylton and Wendy Appelbaum bought the farm in 2004 and have continued to raise the quality of their wines across the board. The vineyards contain some Sauvignon Blanc, Shiraz and Chardonnay, although the star is De Morgenzon Chenin. Hylton also takes the approach of playing baroque music to chosen plots of vines in the vineyards – which, he acknowledges has rewarded them with perfect fruit. Neil Ellis, a veteran winemaker in the Cape, is on a mission to handcraft the finest quality wines from cool climate sites. The farm was founded in 1993, when Neil joined forces with Hans Peter Schroder, the estate owner and the two have never looked back. With their white and red varieties, the wines have become complex and refined ever since the partnership’s inception. All of the wines are of quality, but the old bush-vine varietal Grenache triumphs, with complexity and depth that is rarely seen in cape Grenache. Vergelegen is arguably the most revered wine estate in Cape. The estate is renowned for their award-winning varietal Cabernet Sauvignon V. This wine farm dates back to the 1700s. It changed ownership through-out the 20th century with the Barlows and Philips families controlling the estate until 1987. The Vergelegen red is among the best reds with a recent addition of the white, Bordeaux blend that has won pundits countrywide. The top red Vergelegen is very impressive and has taken the country’s winemaking to newer heights. The selection of vineyards and estates in the country is quite overwhelming. It makes it difficult for a seasoned wine lover to decide where to start. If you are planning to take a tour around, you can trust Zeelo to offer you the best coaches and minibus hire to get you to these wine farms in not only the most comfortable manner but also in style.